JOLLY TIME Pop Corn Giveaway! The giveaway goes live at 7pm Central Time 12/20 and it ends at 11pm on 1/3 Central Time. Two lucky winners will each receive a coupon to redeem for a box of JOLLY TIME Pop Corn! The holidays bring good cheer and merriment to all, but they also bring a lot of high-calorie snacks and treats and full stomachs. Popcorn is the perfect snack for today’s health-conscious host, as it offsets some of the other not so good stuff we may consume over the holidays. JOLLY TIME Pop Corn is a whole grain, gluten free snack made with non-GMO popcorn. Full of antioxidants and dietary fiber, popcorn is a great go-to appetizer between meals. JOLLY TIME provides the perfect healthy snack with its new Butter and Butter Light Microwave Pop Corn made with the Smart Balance unique blend of oils, with zero grams of trans fat naturally and absolutely no hydrogenated or partially hydrogenated oils. Learn more about JOLLY TIME Pop Corn where Pea of Sweetness shares their JOLLY TIME Popcorn family movie night. About the prize: Two lucky winners will each receive a coupon to redeem for a box of JOLLY TIME Pop Corn! About the giveaway: This giveaway begins on 12/20 and ends on 1/3 at 11:00pm (times are Central) and is open to US residents ages 18+. Please refer to the full terms and conditions in the Giveaway Tools. Disclosure: I received no compensation for this publication. My opinions are my own and may be different than yours. DMO3 is not responsible for prize fulfillment. Giveaway will run from 12/22 through 1/5 at 11 PM (CST). The giveaway goes live at 7pm Central Time this evening 12/22 and it ends at 11pm on 1/5 Central Time. Three lucky winners will receive a 12” amber baby teething necklace, and three lucky winners will receive a 14” silicone teething necklace! Disclosure: I received no compensation for this publication. My opinions are my own and may be different. DMO3 is not responsible for prize fulfillment. Are you familiar with Leawo? Leawo is a skilled, award-winning, multimedia solution provider who specializes in processing and broadcasting media over the Internet &in daily life. They aim to become a frontrunner in developing and delivering software solutions for both individuals & businesses through graphics and images, audio and video. Products offered include: Microsoft Windows and Apple’s Mac OS X platforms including software with paid & free options. From December 27th through January 7th, Leawo is running a magnificent campaign. During the aforementioned dates, you can win a 1-year license to use specific Leawo products. Blu-ray Ripper Mac is a cutting-edge Blu-ray ripping and converting program to decrypt, convert Blu-ray/DVD movies to videos, and backup Blu-ray to DVD disc. Tunes Cleaner Win is a Windows based iTunes program that cleans up iTunes including locating & eliminating duplicate content. Both are also available in Mac. Separately purchased, they are 49.99 & 39.99 respectively. Winning a year’s license will enable a lot of multimedia work to be done, free of charge! Don’t let being a media novice stop you, either. Getting started with Leawo has never been easier or more cost effective. Leawo’s fantastic customer service team will happily assist you with anything you may need. There site is divided in tabs to view the Windows or Mac specific stores. Entry is simple. Follow the instructions on the Giveaway Page. Next, save 15% off Leawo Product using Coupon Code: MERRYXMAS (Not suitable for Christmas special offers; Coupon codes can’t be overlaid). Check out their PowerPoint tools for your home or home away from home office. Christmas Bundles are running at a staggering 50% off. Blu-Ray Software is also going for 50% off. Pick up the Christmas Gift Pack for Apple Users & receive an additional bonus gift. Opt for a Holiday Bundle & grab it for $85 off! That’s a whole sleigh full of savings for the Holidays! If you don’t wish to enter to win & would rather purchase the Blu-ray Ripper now, then you can get the Lifetime licensing use for a mere $19.95. For the iTunes cleaner, a lifetime is on sale for $9.95. There are no losers in this contest! Everyone can come away a little more tech savvy with more money in their wallet. Spend some time on Leawo’s site to view all their multimedia innovations. 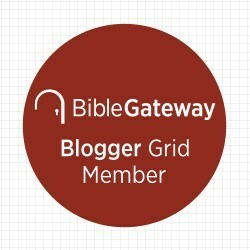 Freeware sharing & tips are available. Be sure to enter to win! 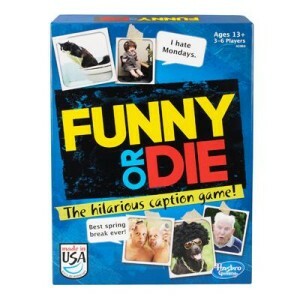 Hasbro’s Funny or Die Giveaway! Giveaway will run from December 29 through January 12 at 11 PM (CST). Giveaway will run from December 31 through January 14 at 11 PM (CST).